Adopting the latest cinema technology, CINEMALL theaters are fully digital. For the moviegoer, this means no more scratchy film, no more flicker, no more degradation over time. With Digital Cinema, we offer you vibrant, pixel-perfect images and incredibly crisp sound, to create cinema experiences more realistic than ever before. The world's leading digital 3D experience provider, RealD has brought the premier digital 3D experience to cinemas worldwide. At CINEMALL, we bring you the best movie-going experience with RealD 3D, the new generation of entertainment, with intense, ultra-realistic images as if you have stepped inside the movie. 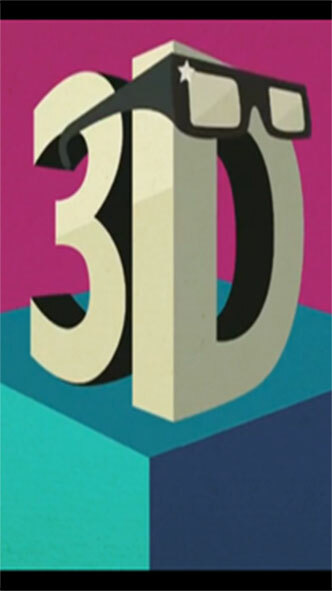 RealD 3D is so advanced that you don't just see what is happening on the screen, you can actually feel it. RealD 3D adds depth that puts you inside the action, whether you are taking a voyage through an undiscovered land or escaping objects that seem to fly all over the theatre. On top of the mesmerising view, RealD 3D offers crystal-clear digital surround sound that lets you hear each and every sound. Don't just watch a movie, experience a breathtaking new level of entertainment. 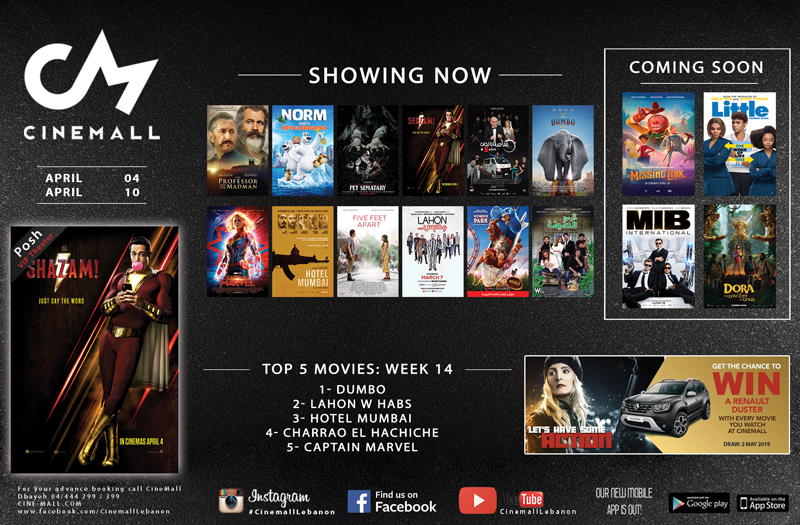 Cinemall is always ready to offer you the latest innovations to make your movie experience even easier. After the E/TICKET and E/KIOSK, Cinemall introduced a mobile application to its loyal movie fans. From live booking, to staying updated with the latest movie releases and news, this application covers every aspect that movie lovers would consider inquiring about. 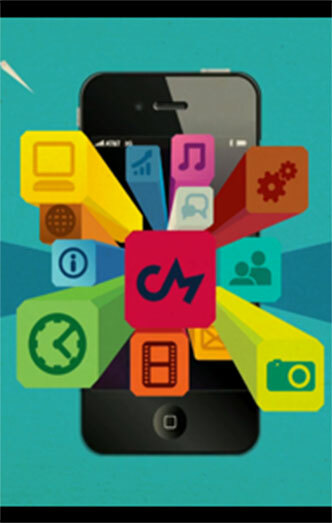 The CM application is free, easily downloadable, user friendly and fun! Download Our App NOW, stay updated with the latest news and save time by booking your movie seats through it. 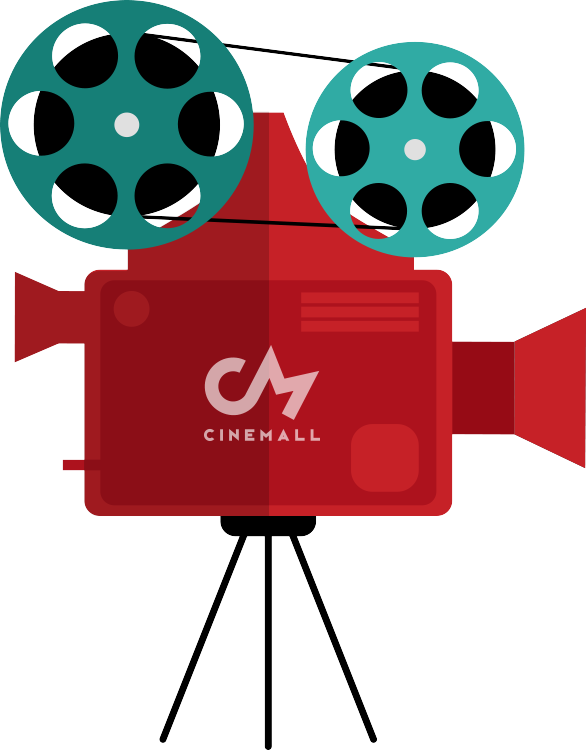 Since its launch, Cinemall has proven its innovative trend as well as the high international standards it offers, that better serve you, and make your experience as smooth and relaxing as possible. Therefore, and for the first time in the region, Cinemall has made movie booking much easier and accessible for you by implementing E-kiosk at key locations throughout the country. Now you have the freedom to book the movie of your choice at your own convenience. Today, it is the movies who are coming to you! All you have to do is choose the movie you would like to see, as well as the time and seats, and use your Visa card to make an instant booking. 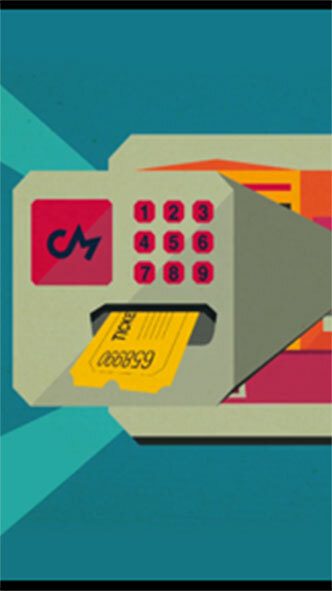 Our user friendly machines will guide you through the whole process. E/kiosks make your movie experience easier and much more enjoyable. Try it! There is nothing like luxury to optimize your movie experience. 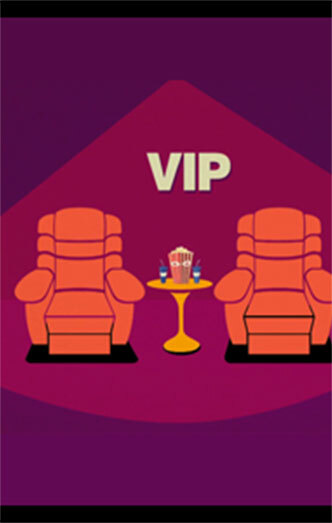 Cinemall has equipped one of its best theatres to provide you with a luxurious, customized service. Sit back, relax, and feel at home while enjoying your movie on adjustable leather couches, and let us serve you with the refreshments and finest food of your choice. In a theatre capacity limited to 17 to preserve the warmth of the ambiance, your movie experience is optimized with the hospitality of our on hand waiters, always ready to attend to your requests. Treat yourself to a luxurious experience!